***ANOTHER GENTRY 1-OWNER VEHICLE***, ***BLUETOOTH HANDS FREE MOBILE***, ***FULLY INSPECTED AND SERVICED***, **ACCIDENT FREE CARFAX REPORT**, **RUNNING BOARDS**, **REAR BACK UP CAMERA**, *** ROLL OVER BED COVER ***, 8-Way Power Driver's Seat, Auto-Dimming Rear-View Mirror, Class IV Trailer Hitch Receiver, Electronic Locking w/3.55 Axle Ratio, Equipment Group 301A Mid, Fixed Backlight w/Privacy Glass, Leather-Wrapped Steering Wheel, Power Driver/Manual Passenger Lumbar, Power Glass Heated Sideview Mirrors, Power-Adjustable Pedals, Radio: Single-CD w/SiriusXM Satellite, Rear Under-Seat Storage, Rear View Camera w/Dynamic Hitch Assist, Rear Window Defroster, SYNC Voice Recognition Communications, Wheels: 18" 6-Spoke Machined-Aluminum. 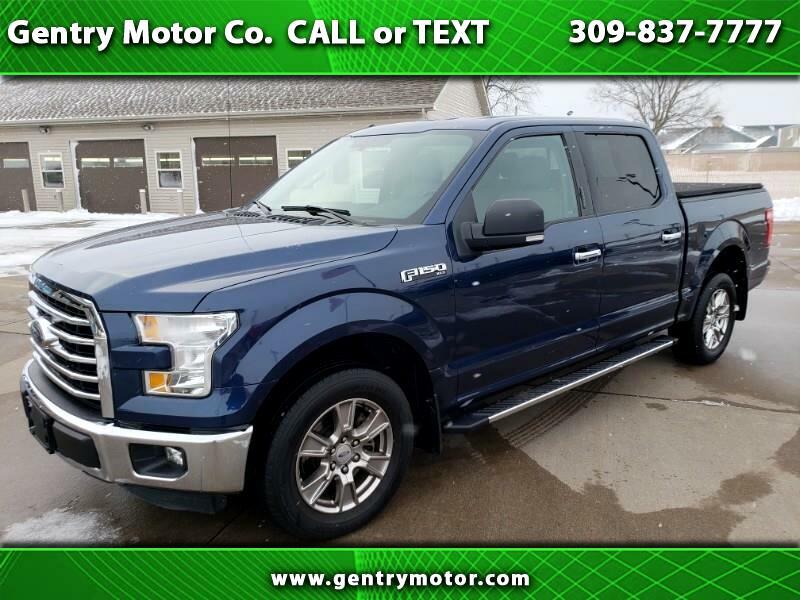 Blue Jeans Metallic 2015 Ford F-150 CARFAX One-Owner. Clean CARFAX. Odometer is 18829 miles below market average! Helping your Friends and Neighbors everyday Since 1989! Make YOUR Deal Today!! !